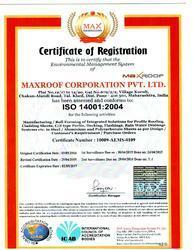 We are “Max Roofing Systems Private Limited”, one of the most promising Manufacturer, trader, Service Provider and Supplier entities of premium grade Roofing Systems was established in the year 2013. Our range includes extensive range of roofing systems. Our range of offerings includes Coated Sheets, Roofing Sheets and Structures, and Ventilation Systems etc. Widely preferred by architects, construction companies etc., our roofing solutions are widely used in heavy industries, industrial buildings, hotels, restaurants, hospitals, airports and banks to name a few. Besides, our offered timely delivery, installation, and maintenance services. We deals in brand Lexan. We as a service provider lay utmost significance on execution of services as per the specific requirements of clients. And we undertake customized engineering and designing of our roofing systems. All our products and services are offered with assurance of quality and all our products are offered in line with the industry recommended standards and guidelines.We successfully cater to the growing needs of a rapidly industrializing and developing India, and maintain the infrastructure to offer the best array of roofing products and services. We are a quality-driven company continuously engaged in proving service and manufacturing techniques. We believe in personalized attention to every client and ensure to understand their requirements. With the diversified industrial experience and acute business sense, our Director Mr. Satish Nair is helping us to succeed as the pioneering organization. We have teams of qualified and marketing personnel working towards attaining highest level of customer satisfaction through custom made roofing products and tailor-made services. We follow a well defined quality control system, wherein every process involved in order execution is stringently monitored and we improve the product / service by eliminating all flaws. Our quality controllers meticulously check our pre engineered roofing solutions to ensure that these are in accordance with the industry standards. Our facility has modern quality assessment instruments to conduct checks of our roofing systems, framings etc., for sturdiness, dimensional accuracy, symmetry etc. Our quality assurance system allows us to keep in sync with the international standards. The unmatched quality of our products has helped us in gaining the trust and respect of our valued customers. For effectively undertaking job works and providing best array of roofing products and solutions, we have equipped ourselves with a modern infrastructure. 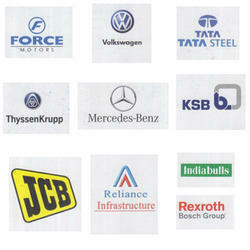 Backed by a state-of-the-art facility, we offer top grade range of products. Our facility is well equipped with all the modern machinery and devices in order to meet the increasing product development demands. Some of the latest machines installed in our facility are cutting machines, lathe machines, molding machines, special purpose machines etc. We have implemented proven techniques of developing roofing products so as to ensure high quality products. All our processes are competently managed by capable people who meet the organization’s set targets. We are a competent team committed towards brilliance and customer satisfaction. The team at Max Roofing System comprises of a perfect blend of both young well trained and knowledgeable & experienced professionals who work in perfect synchronization with each other to design products as per the necessities of the clients and offer them with best roofing solutions. Our teams of engineers, designers, quality controllers and other professionals with their continuous efforts have ensured a huge client base and a innovative array of roofing solutions. To unleash people’s potential and create leaders to build the future and ensure sustainable growth to the company & individuals. For the manner in which we serve our client.